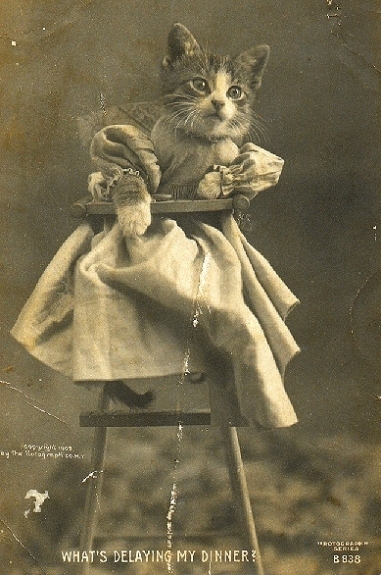 Let’s be honest, cats have been a part of our life since forever. The oldest evidence of domesticated cats dates since 7500 BC. There’s a known fact that cats have also been idolized in different cultures, Egyptians for example had them as gods. The total worldwide cat population is estimated to exceed 500 million. A recent study also states that cats are among the three most spread and shared pictures on the internet along with pictures of babies and food. 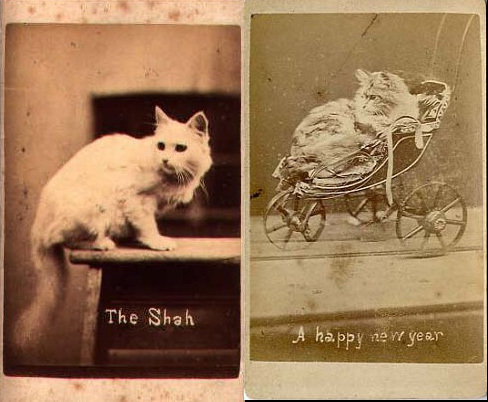 But, where did this obsession of taking pictures of cats begin? 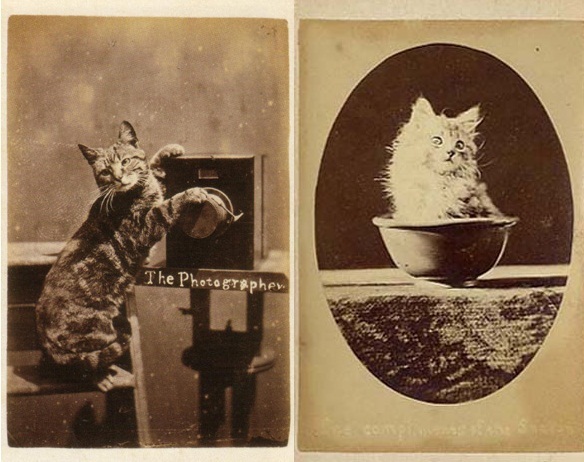 Meet Harry Pointer a British photographer that lived in the 1800’s who made cats famous long before the internet. 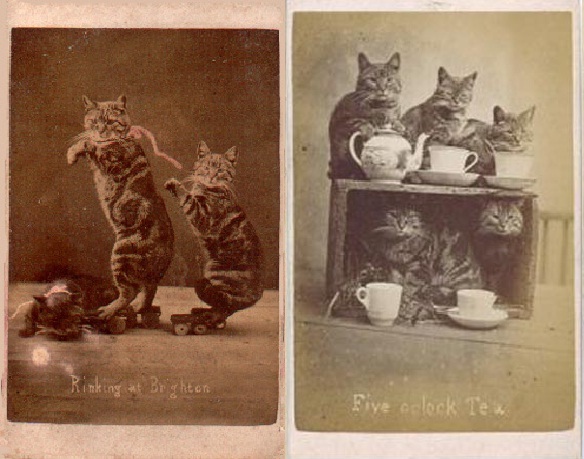 It all started when he photographed cats as they were going about their day – eating, resting, or playing – then it occurred to him that he could do more, so much more. 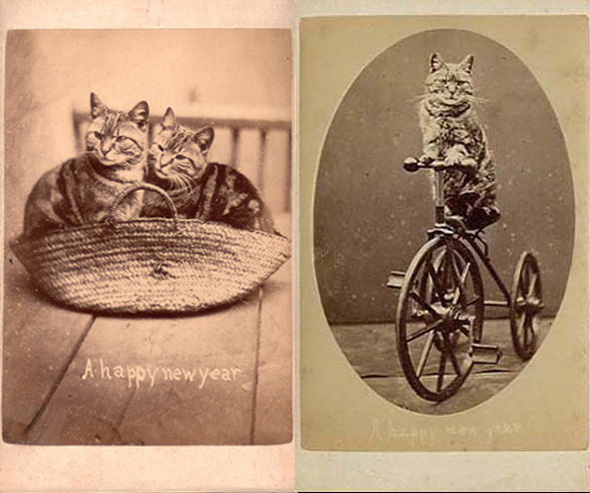 The cats he photographed afterwards in different funny poses that mirrored human activities – riding bicycles, roller-skating, taking pictures – became the ancestors of the modern lolcats. Pointer saw the commercial value of his pictures and he soon started added text and greetings to them either describing the moment take or general well wishes. 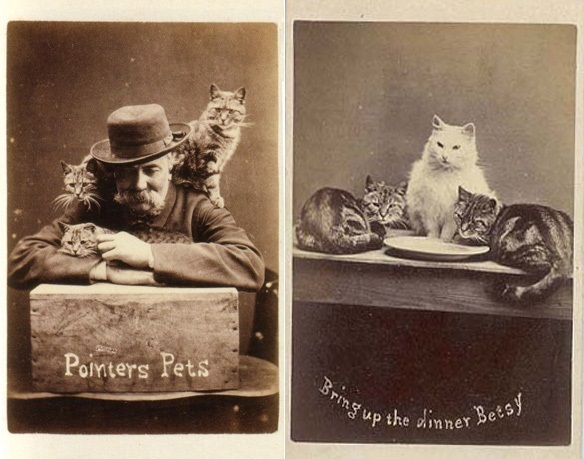 His customers sent the small greeting cards to friends and relatives making Harry Pointer’s business even more successful and his cats notorious. 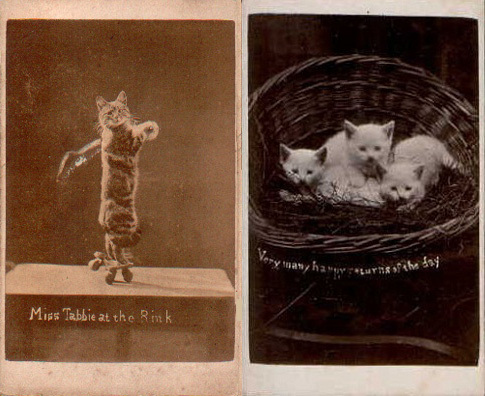 The “Brighton Cats” photograph series had over 200 different captioned images.